As if Disney wasn’t content with producing some of the best-loved films of all time, they’re now after the coveted title of ice lolly champions too. That’s right, the ice lolly you never knew you needed now exists, and is a generous mix of booze and fruity flavours. Of course, unlike most Disney films, they’re for adults only. They’re also fat free, and each popsicle is less than 100 calories, but they’re alcoholic lollies so who’s counting really? 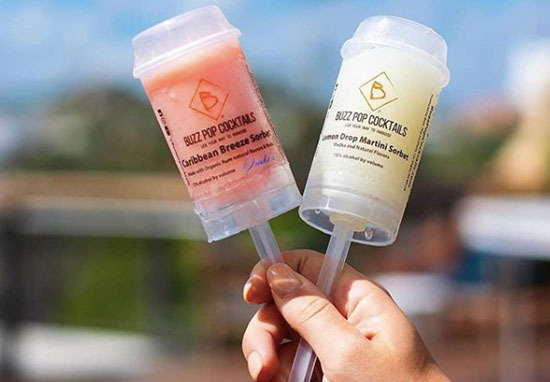 The tasty treats are made by Buzz Pop Cocktails, and come in eight different flavours, including mango passionfruit, Moscow mule, blueberry pomegranate and a margarita sorbet. The brand are also expecting to launch their white Russian and grasshopper sorbet flavours later this year, according to People. Unfortunately, for now, the only stores the boozy lollies are available in are at Disney Springs, the shopping and dining centre at the Walt Disney World Resort in Orlando. Although they’re also available through Buzz Pop Cocktail’s website. Each pop cocktail is the equivalent of a 15 per cent ABV cocktail drink. The theme park only started serving alcohol at three of its restaurants for the first time in May this year, meaning adults can enjoy a refreshing beverage to take the edge off while their kids overdose on sugar and excitement. We have added creative new items for our clients including a Behold the Gold Sorbet, Margarita Sorbet, Cosmopolitan Cocktail Sorbeto, Mandarin Oriental Sorbet, Strawberry Lime Sorbet and Watermelon Chili Sorbet. When the dust settled, seventy-five new flavors had been created which will be produced in limited quantities based upon the season they fall into. If you’re still hanging on to summer, and don’t want to pop over to Orlando for your alcoholic ice lolly fix, we’ve got you covered. 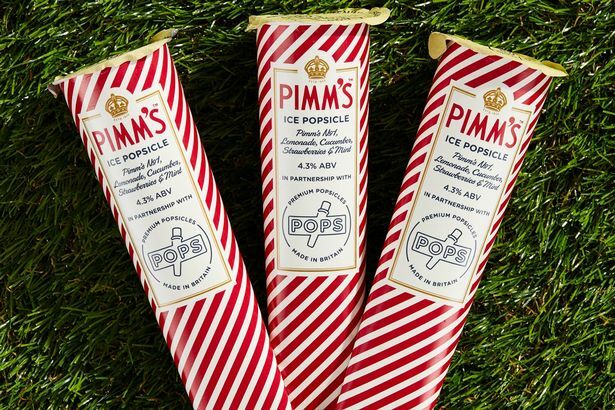 Earlier this year Tesco launched their own boozy iced treats in the form of a Pimm”s ice popsicle. The Pimm’s POP is a strictly over 18s summer snack and comes with a clear age restriction label, so minors won’t be able to purchase them. With an alcohol volume of 4.3 per cent, it’s slightly stronger than Bud Light which clocks in at 4.2 per cent, but not as strong as the afore mentioned Buzz Pop Cocktail. At £2.50 for two, they’re a bit of bargain as well! Tesco aren’t the only store to weigh in on the refreshing way to consume more alcohol though. Waitrose also launched their own alco-popsicle, made from rosé wine, called the Mirabeau Frosé Popsicles, which have an ABV of eight per cent, while Sainsbury’s opted for raspberry bellini and gin & tonic flavoured pops. And in June, Aldi also jumped on the bandwagon with the launch of Gianni’s Alcoholic Ice Popsicles, which consisted of four flavours including gin & tonic and bucks fizz. So if you’re after some refreshing ice lollies with a kick, there’s plenty to choose from.